FLORENCE, S.C. — McCall Farms started as a 2,000- acre farm in Effingham with cotton as the cash crop, but today it has become a large-scale operation providing canned Southern vegetables to the country. McCall Farms provides products under brands such as Glory Foods, Margaret Holmes and Peanut Patch and Bruce’s Yams. These brands are known for their Southern taste. Its facility is on Irby Street in Effingham. The canning production and storage facility is approximately 1 million square feet in size and the freezer facility is 100,000 square feet. McCall Farms’ first canning operation was started in 1954 when it acquired the Lord Chesterfield brand. 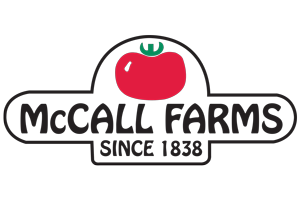 McCall Farms is still a family business. Marion Swink, McCall Farms co-owner, says canned food is convenient and nutritious. Swink said people tell him vegetables found in the fresh produce section are more nutritious than canned vegetables. He said his company works to keep the highest nutritional value of its products. Swink said that after the vegetable is in the can, it is topped with brine. No preservatives are added. The cans are sealed and the vegetables are cooked in the can. Then the cans go to the labeling department. He said that when brine is not used, the canning operation uses its own Southern seasonings — seasonings typically found in Southern kitchens. McCall produces over a million pounds of vegetables a day. “Our daily production levels vary significantly depending on the time of the year. During our peak canning months, which are September-December, we process an average of 2 million pounds of raw produce each day,” said Annie Ham, McCall Farms marketing director. The majority of vegetables used in the canned goods come from South Carolina farms. Swink and Ham say canned vegetables are practical. Ham said the work pays off. She said the Glory products are often sold in large urban areas like Los Angeles, Chicago and Detroit. Glory was originally Ohio-based; but McCall Farms acquired it in 2010. “People not in the South, but maybe from the South, call us and tell us how we’re doing. It helps make the product better. Common remarks are ‘It makes me think of home’ — and it is an emotional connection to our authentic Southern food,” Ham said. Ham added that canned vegetables are the best way to preserve food naturally. “It is convenient, cost effective — you can recycle a can, and it has less food waste,” Ham said.